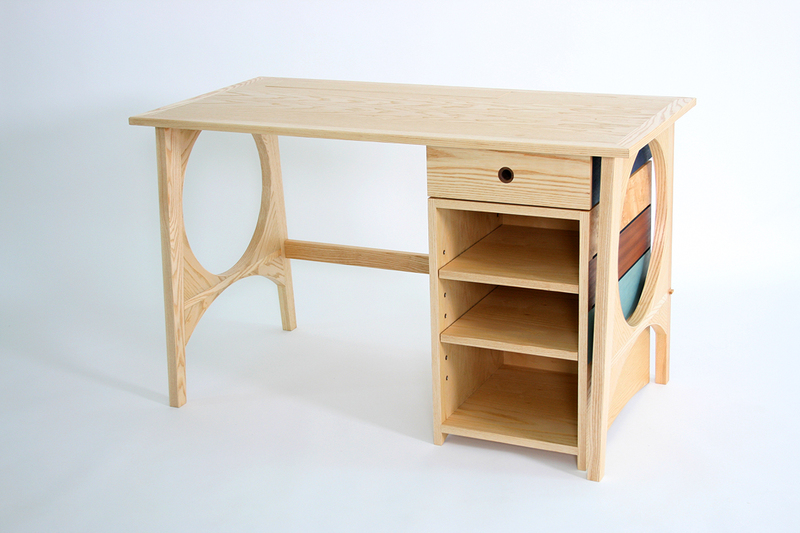 The Full Moon Desk was commissioned for a young lady to work upon. 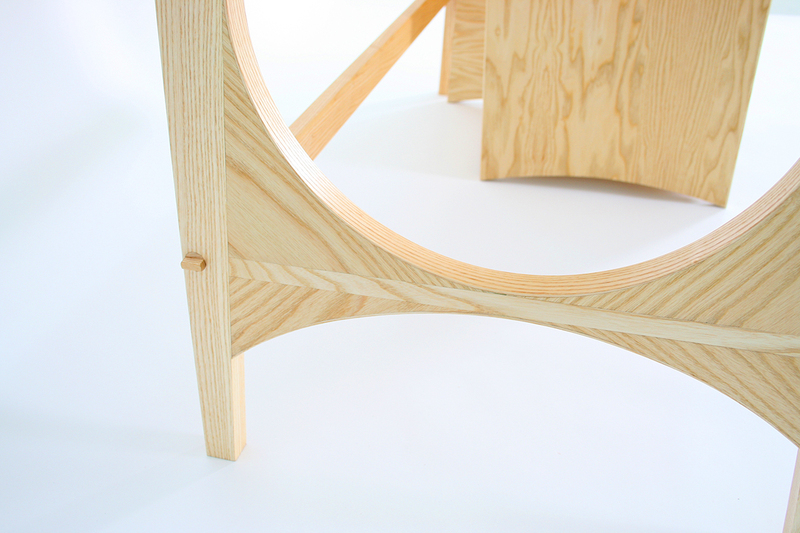 It emphasises negative space in the design and uses the simplest shape, the circle, to strong effect. 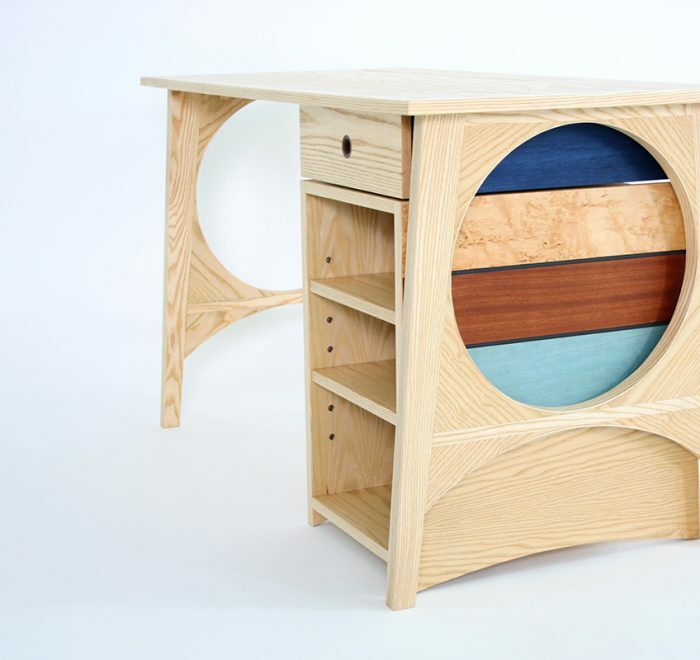 The adjustable-shelving unit sits free-standing beneath the desk and whilst very much part of the design, containing the ‘shades of the moon’ in various veneers, it can also be removed. 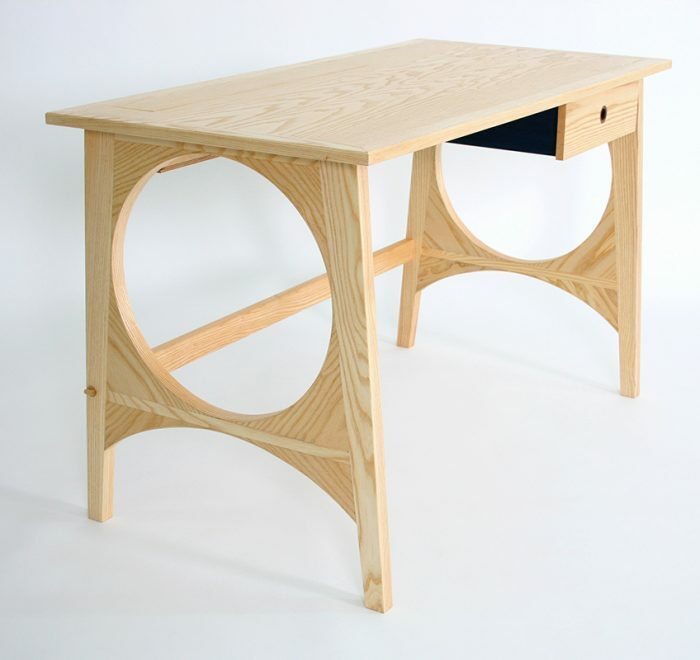 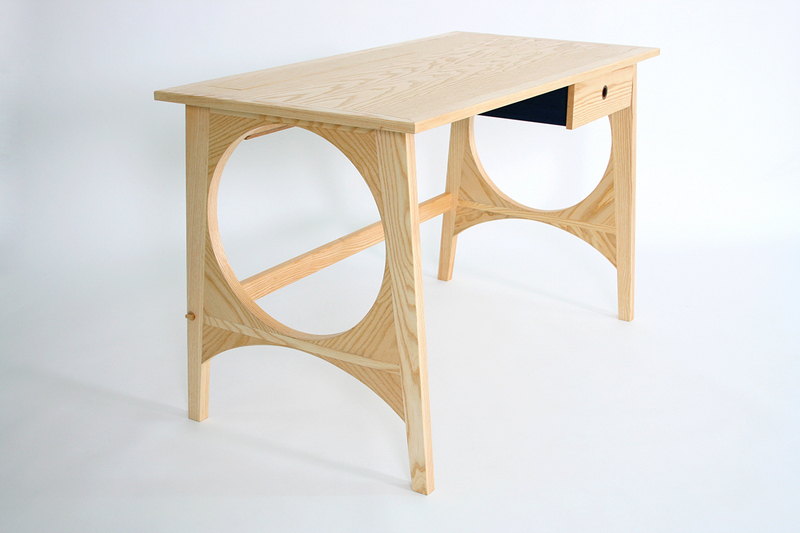 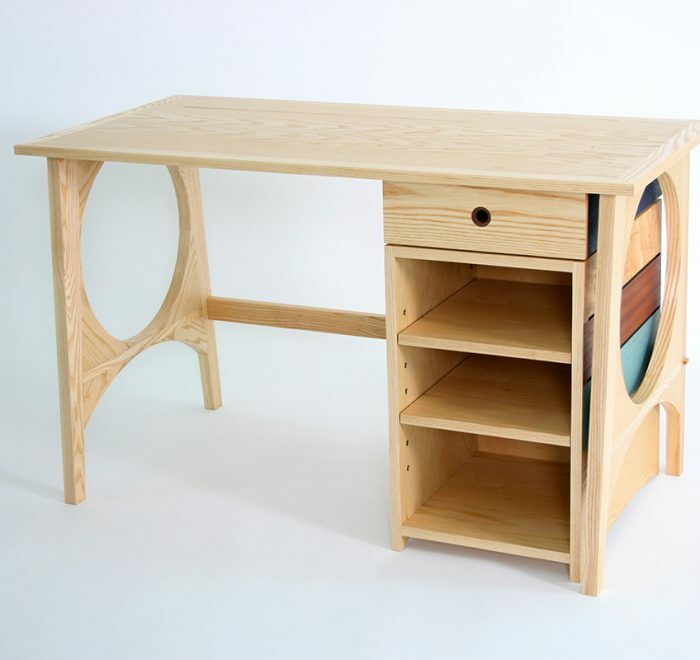 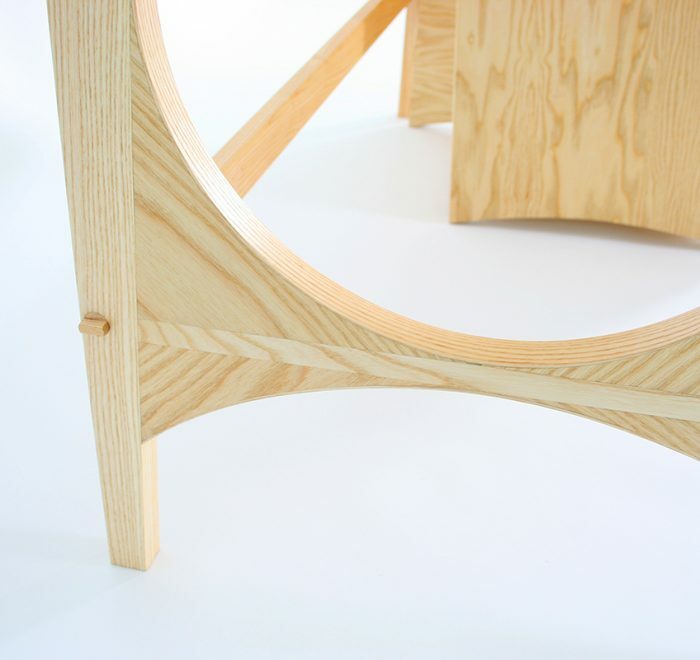 This allows for a view through both ends of the desk’s circles and a pared back design. 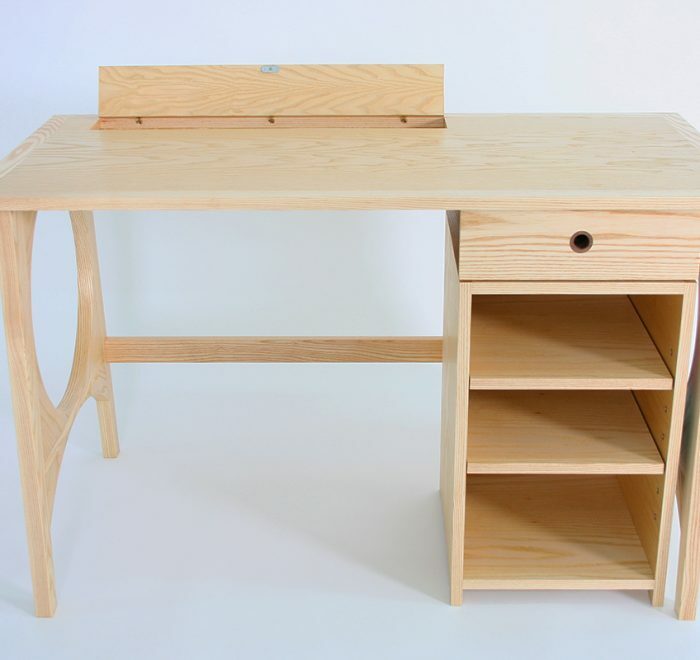 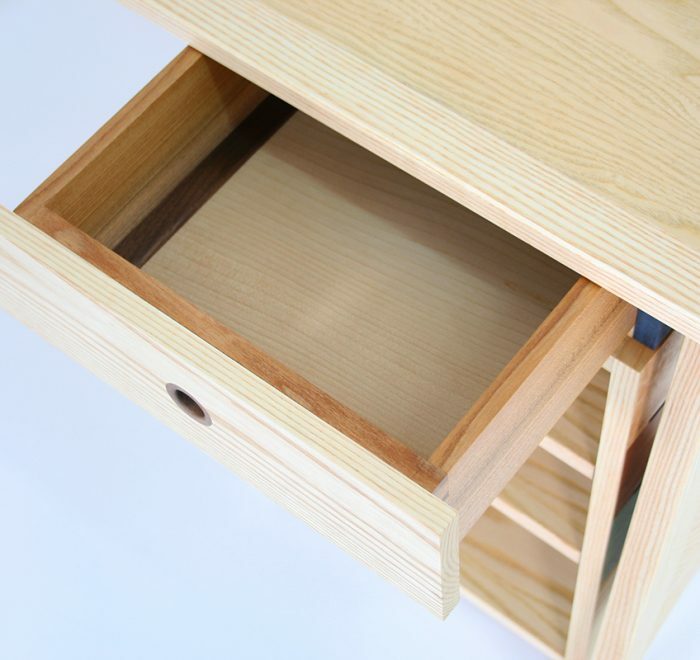 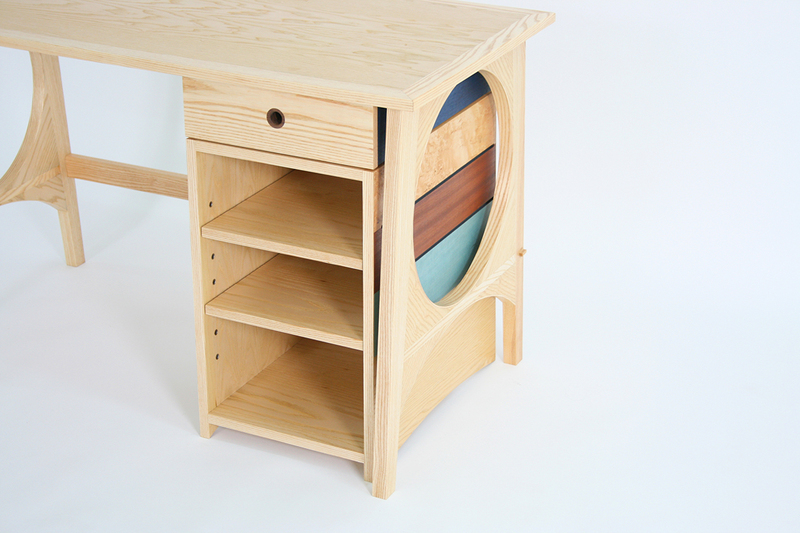 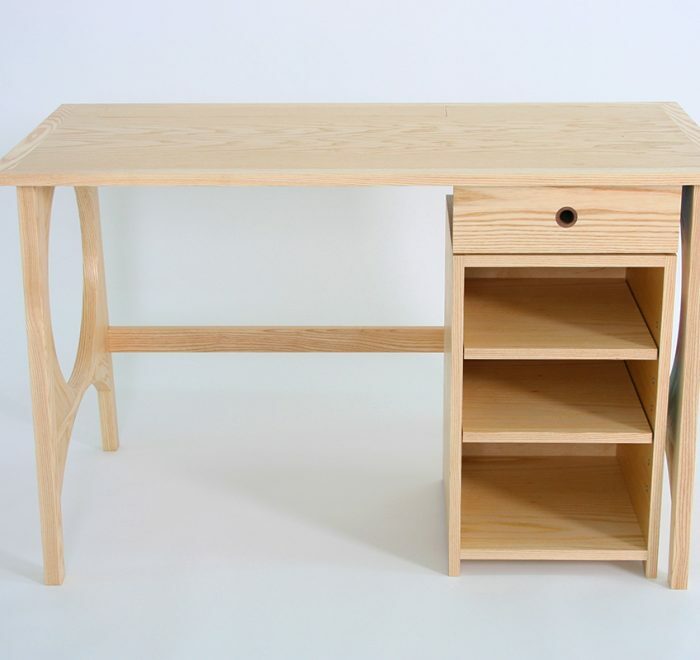 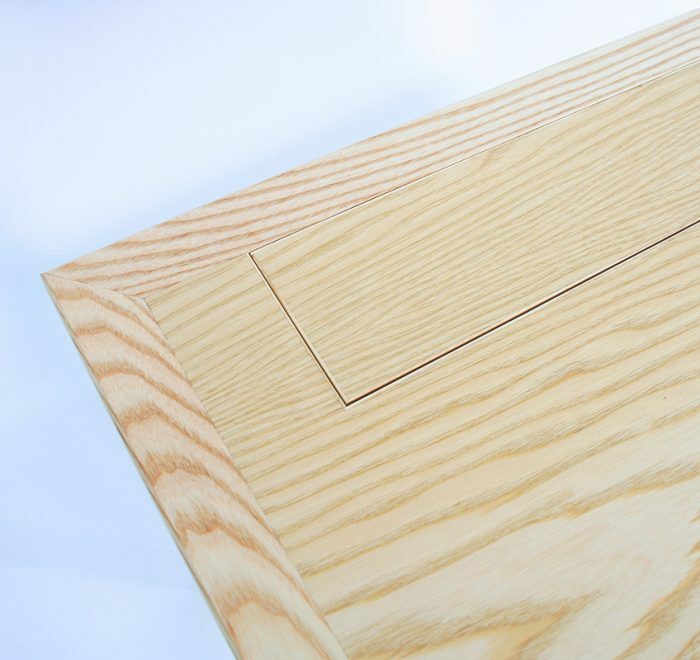 The top of the desk has a push release mechanism revealing a compartment for storing stationery. 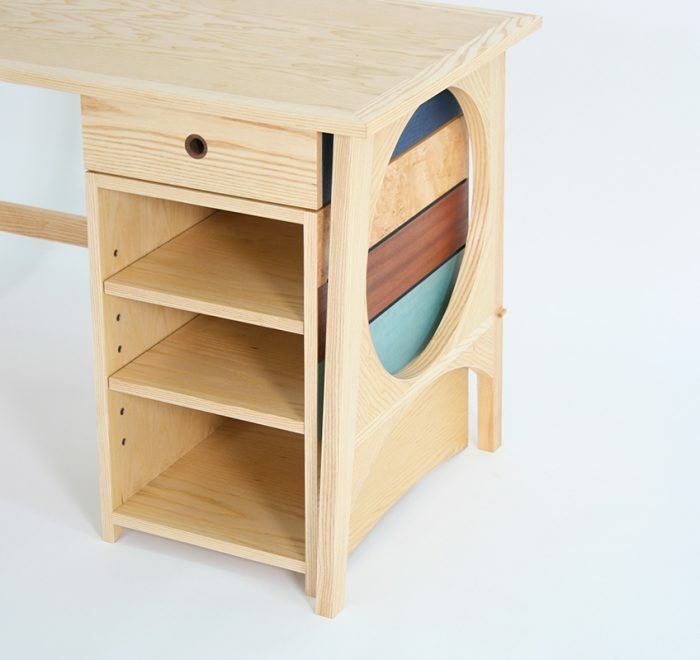 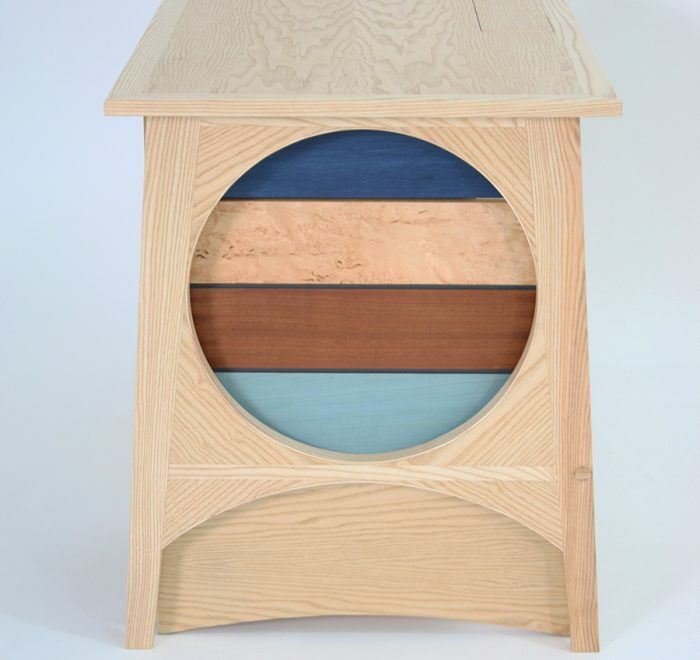 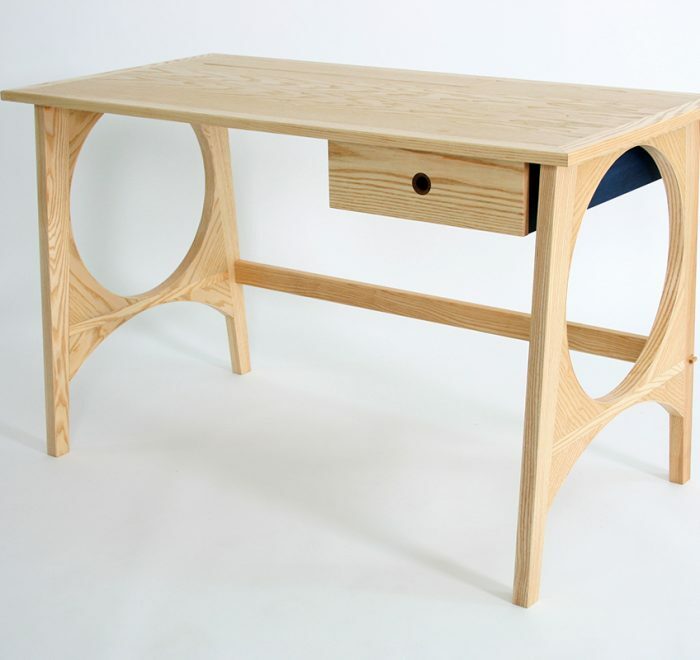 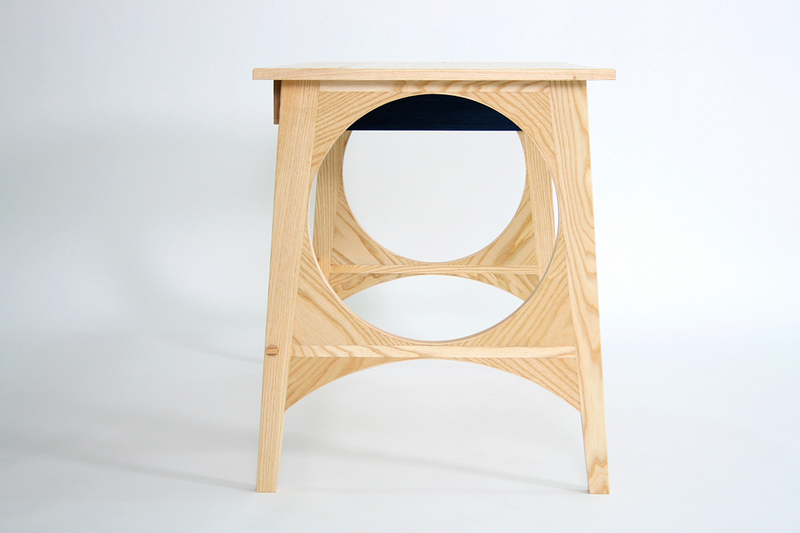 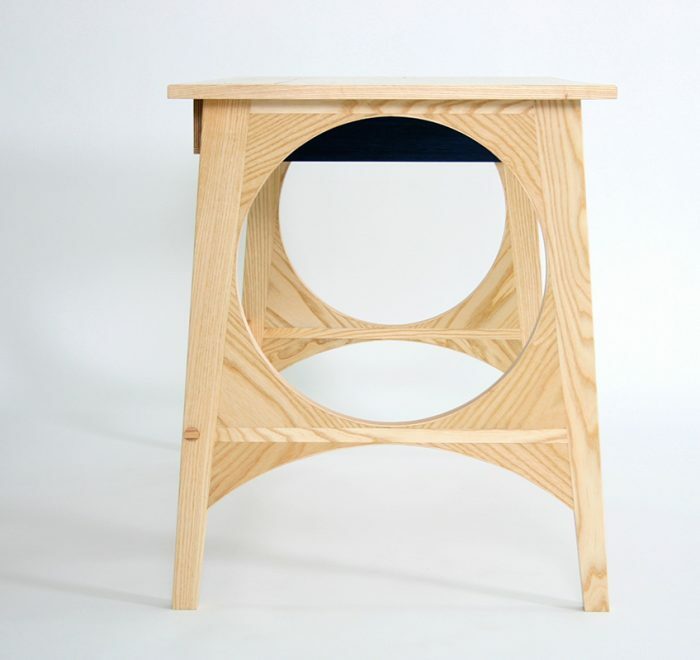 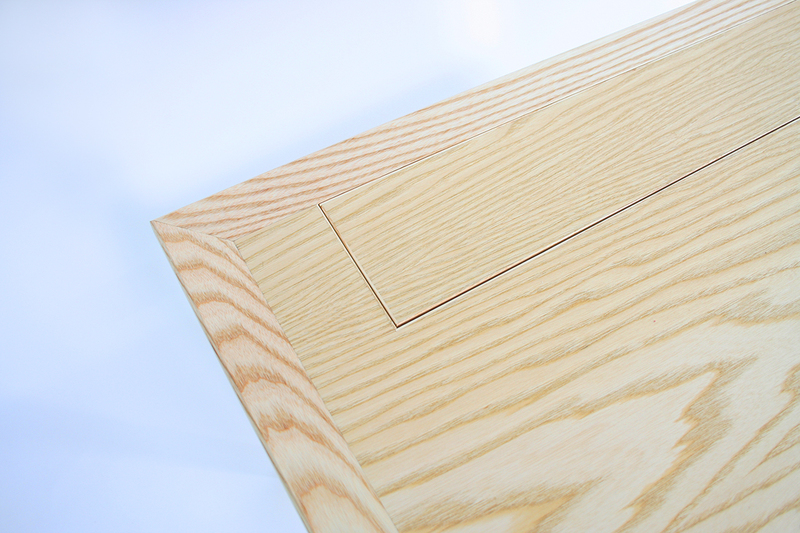 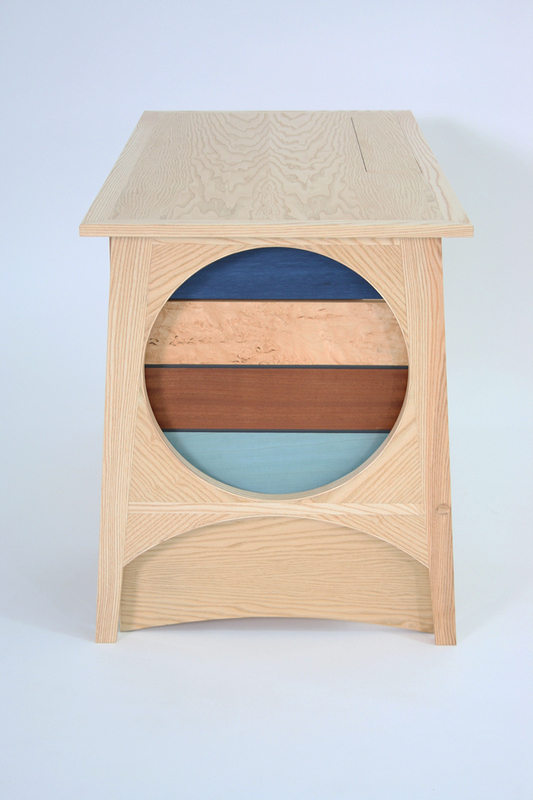 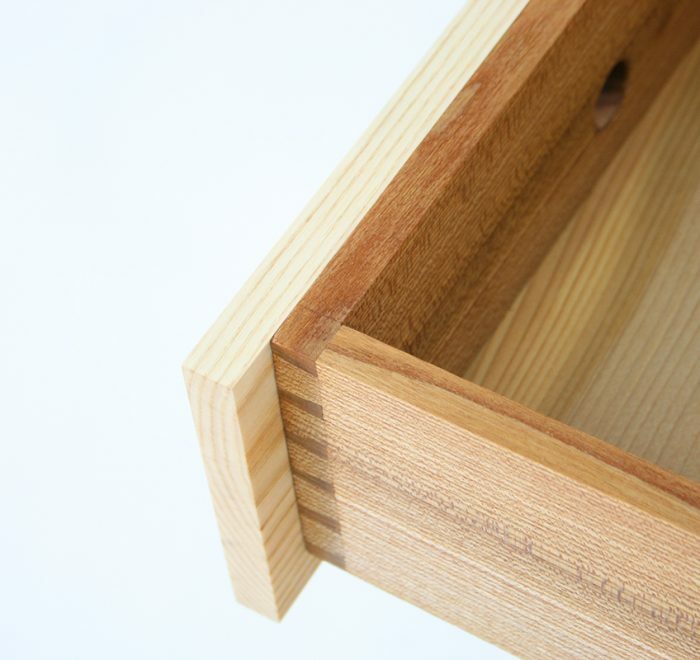 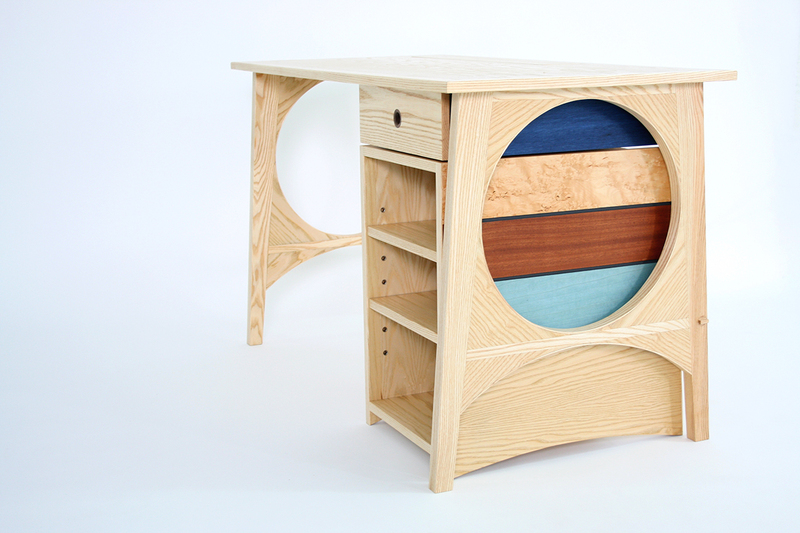 The drawer is hand-dovetailed with a solid Cedar of Lebanon base. 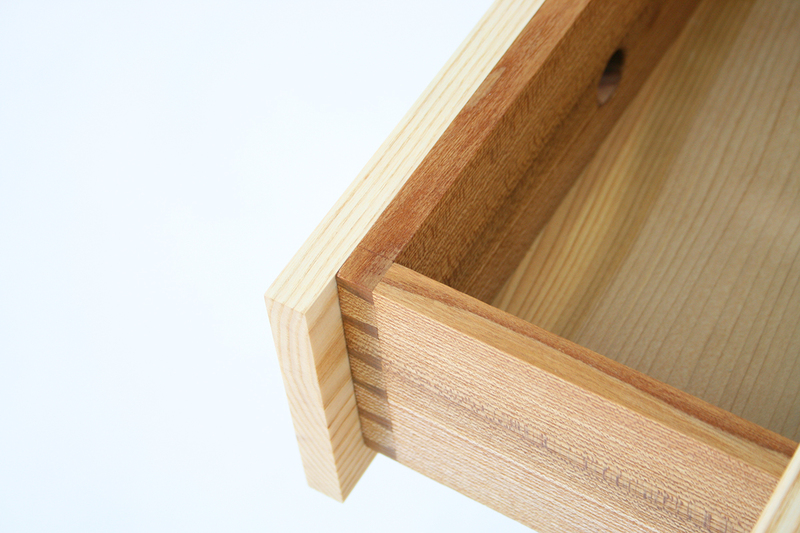 The drawers pull is also a circle bored through the fronts. 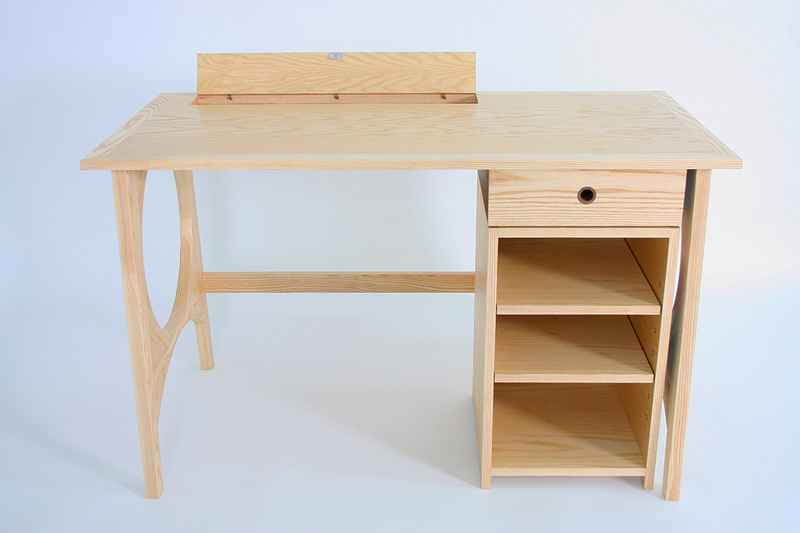 The whole desk is also made to come apart for ease of transportation. 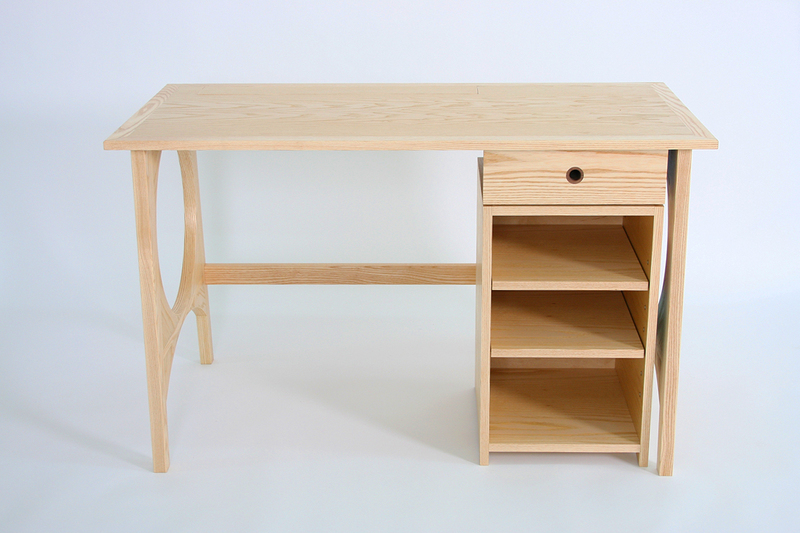 Two wooden plugs either end of the low rail at the rear of the desk reveal fittings, and the top is also removable. 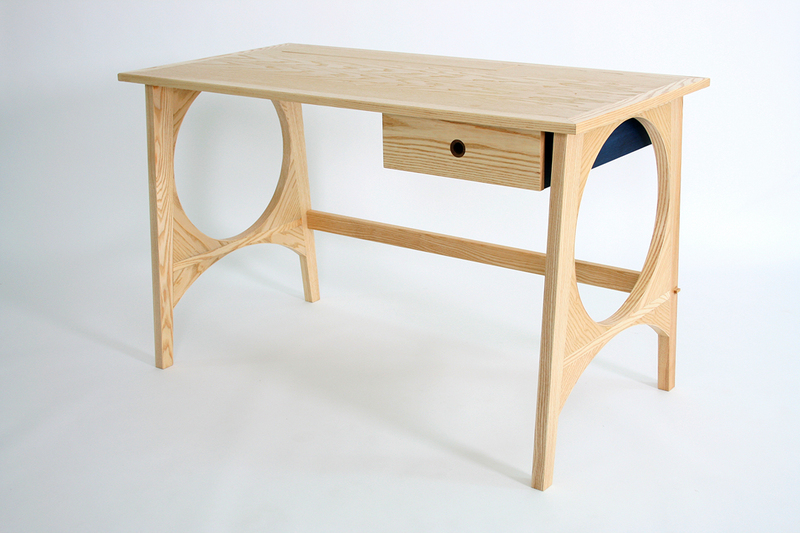 Made from American ash. 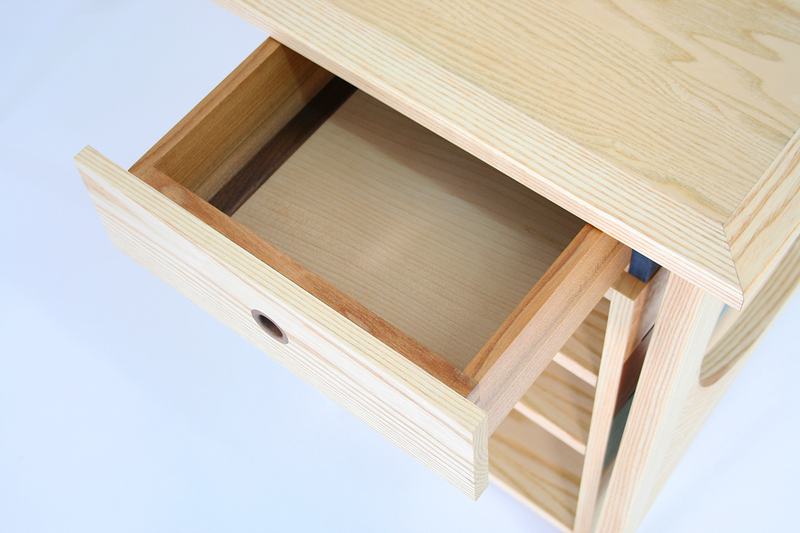 Drawer made from English elm, walnut and Cedar of Lebanon.